There’s something about New Year’s Eve that puts me on edge. It’s a time for retrospection, and this year, I’d much rather concentrate on all the things in front of me than the things I’m leaving behind. I’m heading into the New Year reluctantly (I like to pretend I have a choice in the matter) because I’m not entirely sure I’ve finished with this one yet. There are still so many things I haven’t done yet, so many abandoned intentions. Time to let all of them go and begin again. First and foremost amongst my litany of literary disasters in 2012 – the Australian Women Writers Challenge. Oh, the plans I had in mind when I first signed up for the challenge! Here’s my rather pathetic report. Promise you won’t laugh? Oh, and I also read Hazel Rowley’s Tête-à-Tête: The Tumultuous Lives and Loves of Simone de Beauvoir and Jean-Paul Sartre. It was amazing. I don’t read much in the way of non-fiction, but I plan to read Rowley’s biography of Christina Stead next year, in the gaps between all the other things I’m planning. Needless to say, I’m going to have to do a better job next year. 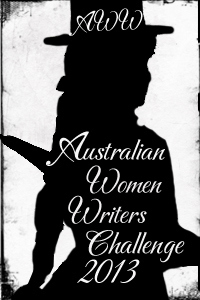 I’ve already signed up for the 2013 challenge (you should too – click here) and I will be reading and reviewing one novel by an Australian woman for every month of next year. In other news, I’m looking forward to resuming where I left off and reading my way through the Sixties next year – and beyond. 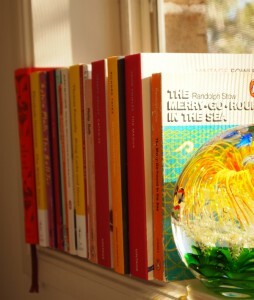 I’ve already started thinking about what I’d like to read for the Seventies. 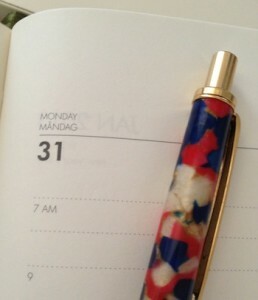 I’m eager to launch myself into my reading and writing again. I am excited. It’s been way, way too long. But before all that, there’s right now. The sun’s out, and it’s the last day of the year. It’s time to blast the listlessness of 2012 aside and welcome 2013 with open arms. 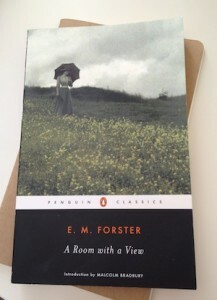 Tomorrow, to celebrate E M Forster’s 134th birthday, I’ll be sitting in the shade, reading A Room With A View and daydreaming of hillsides covered in violets. Wishing you all a muddle-free 2013! * Finem Respice was my high school’s motto. Only one of my teachers – my favourite teacher – knew what it meant. Have you ever read a novel that makes you feel absolutely certain it was written with you in mind? As if the author somehow possessed the ability to reach majestically across time and space to squeeze you gently on the shoulder to say this is for you. That’s the way I felt this week, when I read Zadie Smith’s On Beauty. I know you died in 1970, but I’m writing to you anyway. I hope you don’t mind. I’m not expecting a response or anything. There’s just something really important I wanted you to know.